*Lots* of eye candy for you today! 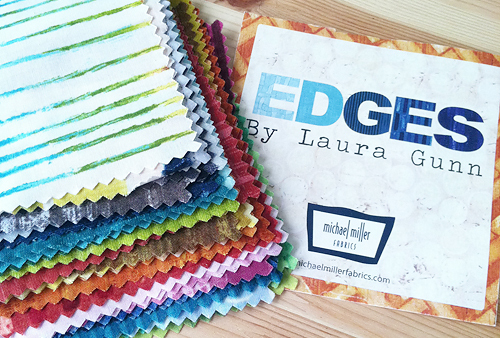 Last week I received a little bit of designer Laura Gunn's new line, Edges, in the mail. It arrived courtesy of Michael Miller Fabrics. I absolutely love the colors she chose for her latest collection. As I was laying out the charms to take pictures, I was getting more and more excited to cut into them. I wanted to really feature all these great colors. I decided to make something with circles. I cheated a bit and used my Sizzix die cutter to cut these out. They are 1-1/2" in diameter. Before I cut them, I iron Heat n Bond Lite to the back of my charms, as I am going to fuse the circles onto fabric before quilting. I spent Wednesday playing with the layout. 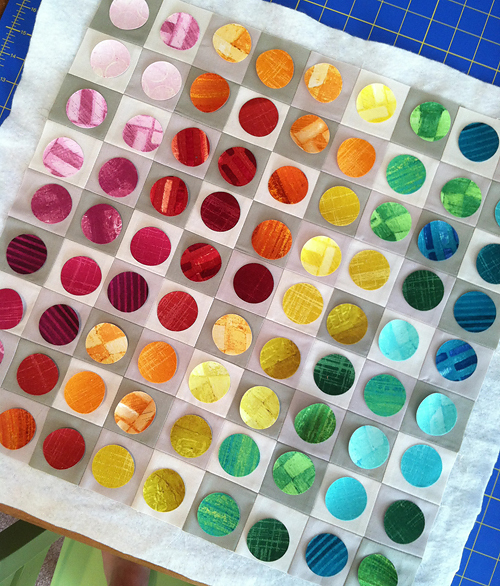 The neutral squares are 2" x 2" finished. 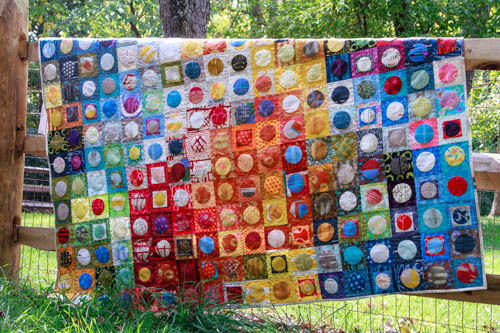 I can't wait to share the completed mini quilt with you soon! Edges is now available in stores. You can find it at Fat Quarter Shop.